Jon Herington is a guitarist at peace. But, at an arm’s length, anyone will tell you that he has one of the music industry’s most coveted gigs – a gig that has long been a magnet to critical criticism or critical acclaim for one of music’s most creative groups, Steely Dan. At a conversational distance, you’ll discover that not only has Jon executed the most complex guitar parts for Donald Fagan and Walter Becker over the past eight years, but has found creative balance as a musician, producer and writer that subscribes to the same standard of musicianship as the Dan. Listen closely to his personal work and you’ll be mildly surprised to find that Jon Herington approaches his music like that of a qualified artist, both lyrically and musically. So sit back, and listen to our guest expound on his musical roots as well as his musical theories and perspectives. 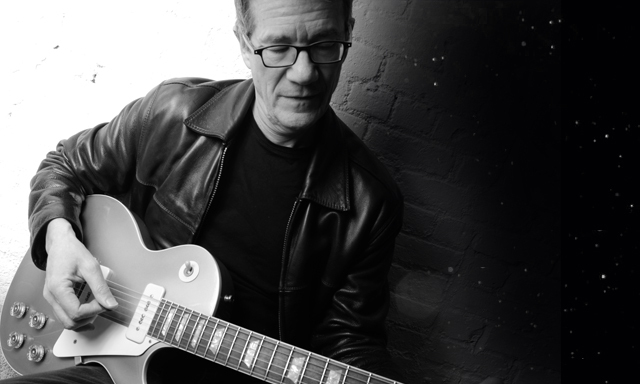 Inside MusiCast welcomes Jon Herington.